Manchester United are eyeing a move for Porto’s Eder Militao if Kalidou Koulibaly rejects a move to Old Trafford. Ed Woodward decided against a move for Alderweireld and Maguire in the summer, forcing Mourinho to settle with his current options, but none of them could solve his defensive issues. The Mancunian giants are the only Premier League side in the top half of the table to have a negative goal difference, which could force the club to make moves this winter. Jose Mourinho will be looking to upgrade his centre-back options once the window opens in January. 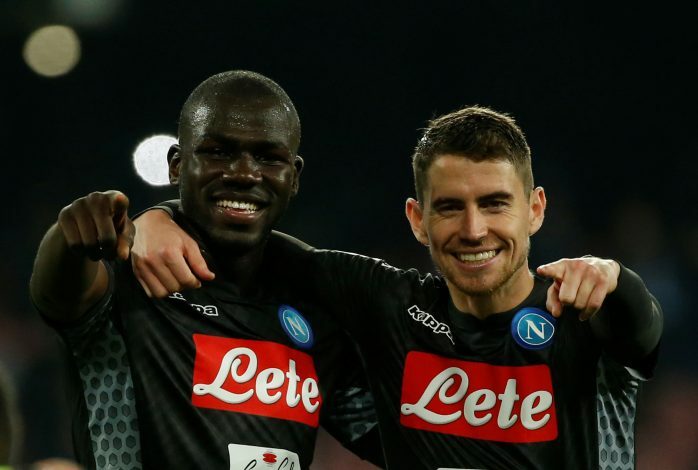 According to the Daily Record, the Portuguese boss wants Ed Woodward to make a move for Napoli’s Kalidou Koulibaly to provide the much-needed experience in defence. But his recent failures means Mourinho is also preparing younger alternatives who could be bought for a lower price when compared to the Senegalese International. Eder Militao is one of the names on his shortlist. The 20-year-old chose to leave Sao Paulo this summer, as he joined Porto for a reported fee of €4 million. Militao has been impressive for the Blues and Whites in the Primeira Liga, racking up 12 appearances across all competitions. But the Red Devils have one hurdle to tackle. Militao signed a five-year contract when he made the move in August, which allows Porto to demand a huge fee for the defender. This signing could mark the end of Marcos Rojo’s time at Old Trafford. The Argentine defender signed a new contract in March, but is yet to make an appearance for the first team this season.